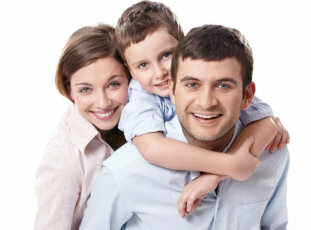 As a family practice, we deal with all age groups. Our featured services include adult physical, children physical, well baby care, vaccinations, preventative medicine, family planning, women's health, chronic disease management, and more. We strive to make our office a comfortable environment where you can be rest assured that you will leave us with a better health plan for your lifestyle. Patients must present a valid health card each time you visit the clinic. Please inform our receptionists of any changes in your address or phone number. This is extremely important to ensure proper communication in case of abnormal investigation. Patients are responsible for payment, if you do not have a valid Health Card. Not all services are covered by OHIP. Please see our list of services with fees. Family practice patients (patients who are registered with one of our doctors) are encouraged to book an appointment as the wait time will be significantly less. Our Walk In Clinic is open 7 days a week for urgent and minor care needs. No appointment necessary. Please try to arrive at least one hour before closing to guarantee being seen, as we sometimes have to close registration early due to patient overload (walk in patients only). For after hours health advise, please call TELEHEALTH ONTARIO.